THIS DRESS SOLD. 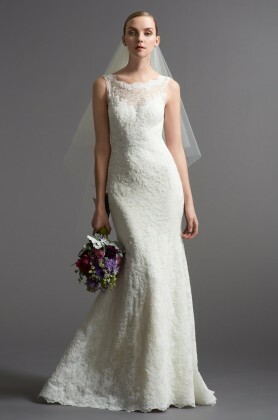 CONTACT SALES@BRIDESFORACAUSE.COM WITH DRESS INQUIRIES. 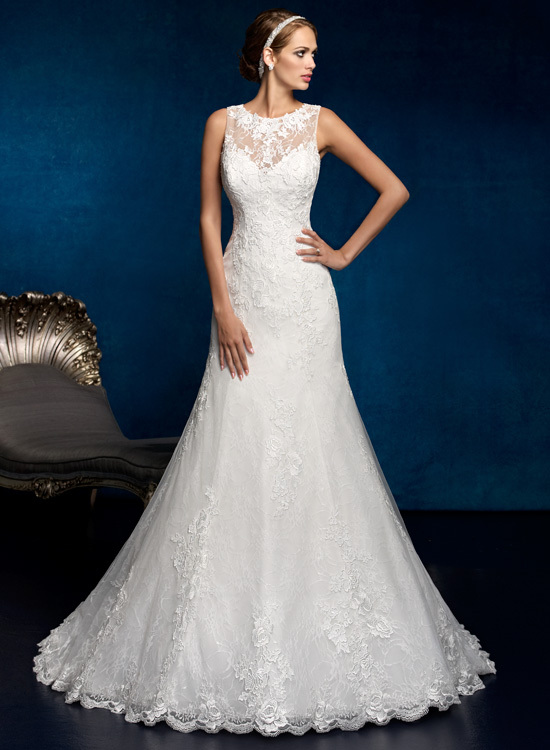 Beautiful illusion lace neckline and key hole back, lace scalloped hem. Dress is in beautiful condition!